Studio foam’s Caroline Venet has a knack for challenging the way materials are expected to behave. 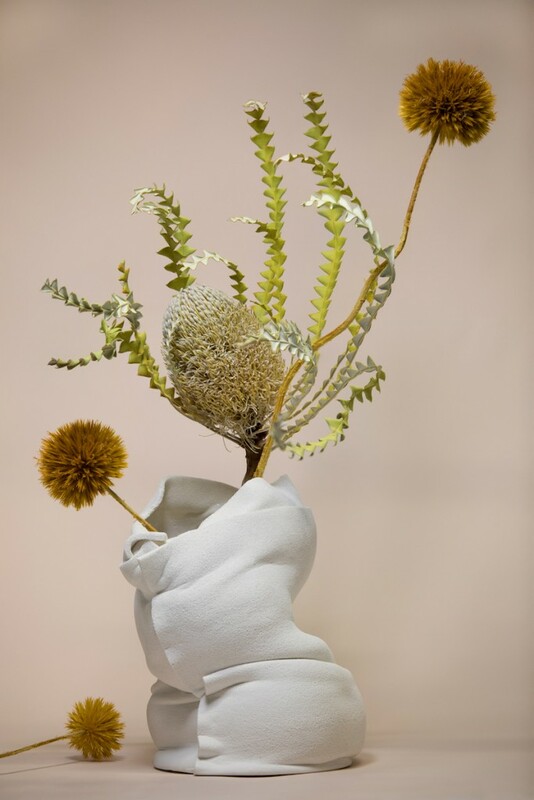 With her latest series, BLUSH, she turned foam, cotton and porcelain into a sensory upheaval: the delicate white vases that looked sponge-like and soft from afar were, in reality, rough and stiff when touched. “This project started with the will to reuse industrial foam waste, and has progressed towards the upcycling of cotton, by transposing those scraps into a deeply sensual universe,” the Paris-based designer explained. 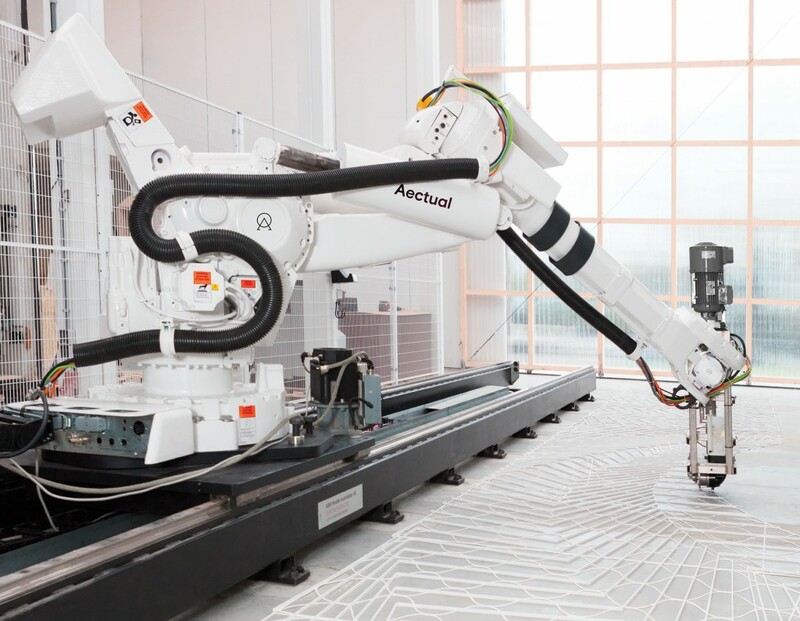 Short version: Dutch brand Aectual is 3D printing linoleum to look like alien terrazzo. 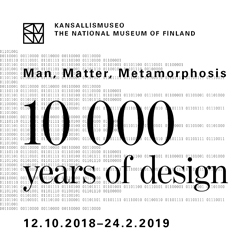 Long version: the design-driven tech company has developed software that has allowed them to sustainably print an endless floor pattern, using a linseed oil base, and have added a terrazzo infill as a visual challenge. 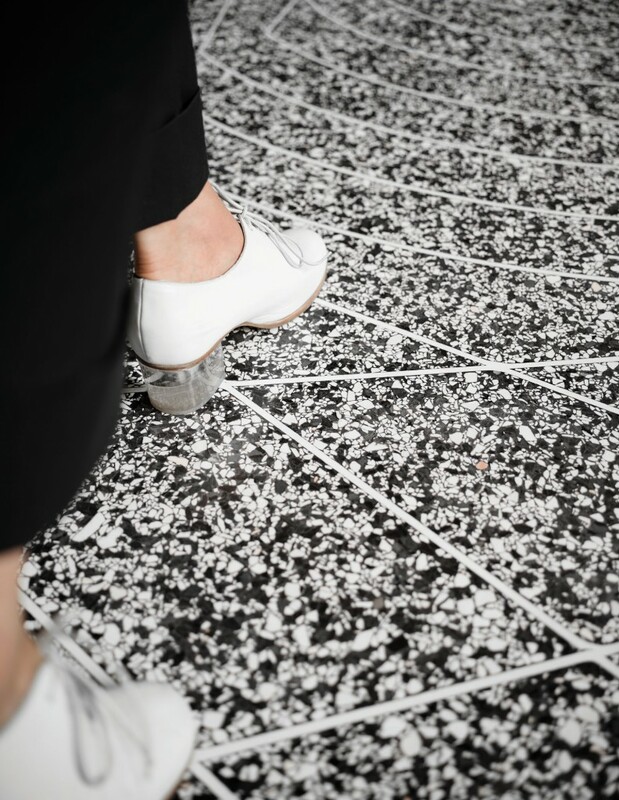 That means it’s quite possible to have custom terrazzo on large surfaces, with a unique pattern in every metre. That’s something Amsterdam’s Schiphol Airport has taken advantage of: they integrated wayfinding motifs directly onto the floors of a 900 square metre space that will be soon open to the public. Italian designer Federico Pazienza is honouring his current home by going mathematical on the country’s art history. With the help of the Rijksmuseum archives, the designer is turning the brush strokes in pieces of Delfts Blauw into raw vector structures. “In this digital age, it’s possible to simulate the same illustrations by using computers, but the mathematical structure of the graphics will be a discontinuous network of vectors and control points,” he explained. Control Points is, fittingly, the name of the series that includes a plate and a square tile: by looking at them quickly, one can tell there’s something slightly off with them, but can’t really make out what it is. As small as these pieces are, few metaphors are as large when it comes to addressing the fear of what could happen once AI has the capability to oversee our everyday —and creative— lives. 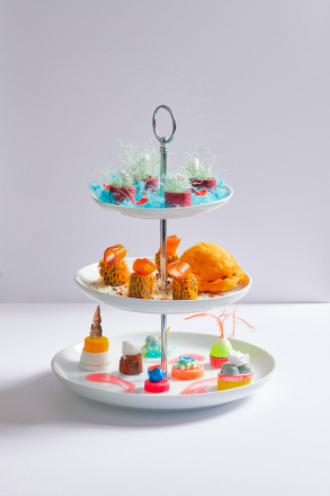 Had you followed the path of puzzled Italians, you might have found your way to Studio Diederik Schneemann’s Rubdish, a project with food photographer Aldwin van Krimpen that turned plastic waste collected in and around Rotterdam into delicately composed afternoon-tea petit fours. The Dutchmen found humour in the local reaction. “We know: in this country, it’s sacrilege to play with food in this way,” they said. But they made their point: as the animals from sea to land destined to go on our plates keep showing up with plastic in their innards, we might as well be eating trash. 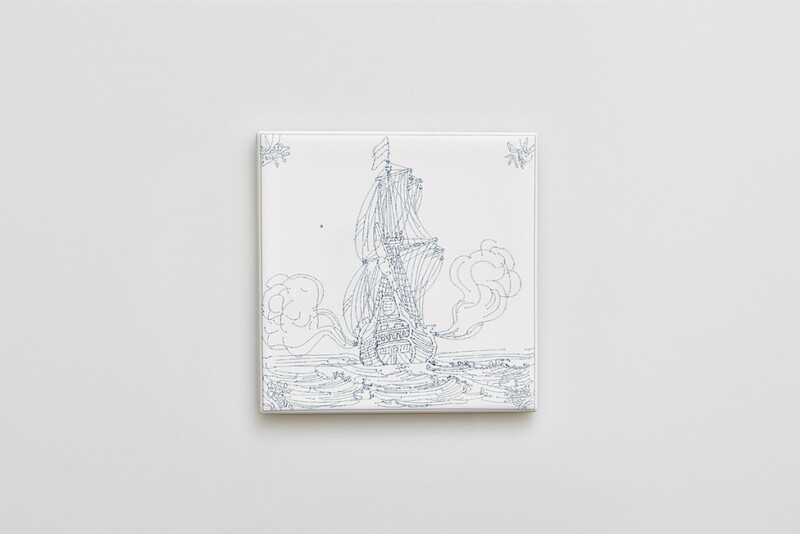 Caroline Venet's pieces are made from foam, cotton and porcelain. That right there is the craftsman working on the terrazzo patterns. Fancy some rubdish with that tea?